Simon & Schuster Books for Young Readers, 9781481472128, 304pp. John Hughes’s Pretty in Pink comes to the South Bronx in this bold and “emotional story about class, race, hard work, and finding one’s place” (Publishers Weekly)—from debut author Lilliam Rivera. Lilliam Rivera is the author of The Education of Margot Sanchez and is a 2016 Pushcart Prize winner. She is a freelance writer with work in Tin House, the Los Angeles Times, and Latina, among others. Originally from the Bronx, New York, Lilliam now lives in Los Angeles with her family. Visit her at LilliamRivera.com. "Introducing Lilliam Rivera, one of the most unique and exciting new voices in YA. 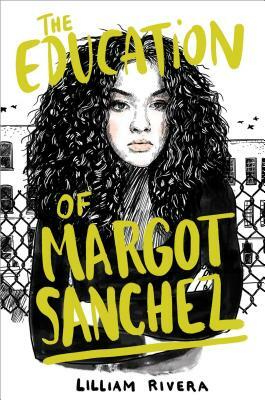 The Education of Margot Sanchez is funny, poignant, compelling and authentic. She nails the music and conflict of an evolving Bronx, New York. I adore this novel." "A debut of great candor, depth, and empathy." "[A]n emotional story about class, race, hard work, and finding one’s place." "[T]he realistic Latinx characters make this a welcome addition to YA shelves." "[A] solid entry novel about family, friendships, and culture. [This] will appeal to teen readers who like coming-of-age tales and stories featuring Latinx culture."